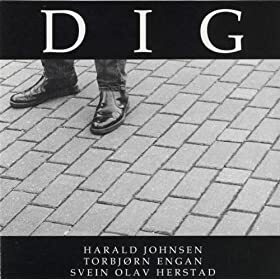 While he's not ECM, I'm mostly into Scandinavian jazz. Svein Olav Herstad is a great musician, a few months ago I ordered one of his albums, since this is only available in Norway it was really expensive but the folks running the music label responded to my emails and were really kind, furthermore, I send Olav Herstad a friend request on Facebook and he accepted it. I'm still trying to obtain of all his CDs. 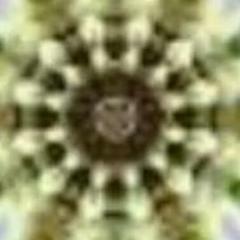 On this one I recommend the song "Alto Acres". 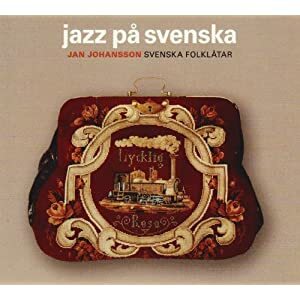 Jazz Pa Svenska is a classic album in Swedish jazz, I still haven't found a (reasonably priced) copy of this but I know I'll order it sooner of later. There's also the Esbjorn Svensson Trio which combines rock and jazz music into an exquisite blend. Esbjorn Svensson drowning like he did was really a tragedy, that trio was terrific and had a totally different sound for a jazz piano trio. Thanks for the other names you mentioned, I'll have to give them a listen. I've always liked European jazz too. I'm happy to find other people who are familiar with Esbjorn Svensson His death was really tragic at a high point in his career and when the band was really creative and prolific. They put some weird names to their songs like "Don't cuddle that crazy cat" or "what did you buy today". This one below is called "Dodge the Dodo". I have a vinyl copy of Erroll Garner - "Concert by the Sea", given to me by my Dad many years ago it is excellent. Jazz is the one genre of music I think is still putting out some good new musicians. Gotta Love the Monk ! ^^^ I think thats the best promotional video i have ever seen. These live performances are previously unreleased and were only heard by a limited audience as bootlegs. This is the first significant collection of music from what’s sometimes called Davis’s “lost band” of 1969-70: Wayne Shorter (soprano and tenor saxes), Chick Corea (keyboards), Dave Holland (upright bass) and Jack DeJohnette on drums. You hear the quintet in three concerts, two at the Antibes Jazz Festival and one in Stockholm, at the Newport Jazz Festival in Europe. for jazz, I enjoy playing it more than listening to it. why? when I play back the recording of the show it NEVER sounds like I remember it sounding it when I played it... don't have an answer. Not the case when covering songs or playing original, formatted material. just chillin` to miles davis. 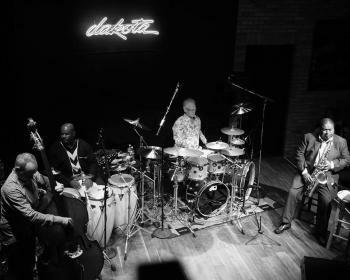 6cd box set wow jazz coooooooooooool!!!!. do you listen to musicians like: weather report, return to forever, chick corrie and medeski, martian & wood. Jazz drumming has always intrigued me. I have cd's by Miles Davis (Sketches Of Spain), Art Blakey, Django Reinhardt, Buddy Rich & Gene Krupa. I'm also getting into Ginger Baker's jazz drumming. His hero's were Phil Seaman, Max Roach, Art Blakey and Elvin Jones. I'm going back to basics on my drumming with some heavy sticks, a practice pad and the book 'Stick Control' by George Stone. I got to see Max Roach at the NO Jazz Fest a few years back. He was very impressive.